Stream Kaleikr’s Fascinating Début LP “Heart Of Lead” in Full Right Now! ‘Without music, life would be a mistake.‘ Famously uttered by German philosopher Friedrich Nietzsche, these words seem to have left a profound impact on Icelandic progressive black metal duo Kaleikr, because it’s the first sentence that meets your eye when you’re searching for their social media presence on Google, even though I can’t seem to find it featured on their actual Facebook page. Oh well. The allusion to the mustachioed posterboy of philosophical nihilism warrants a closer look at the band’s music, even without this tidbit of direct reference. Nietzsche asserted that ‘there is no objective order or structure in the world except what we give it‘; likewise, Kaleikr approach their music in a way that implies that there might be no higher meaning, order, or structure to the music we create other than what we ourselves are able to imbue it with. What I mean to say by that is that the duo don’t ascribe to a singular, culturally predigested genre-based notion of what their music can or should be. Instead, they erected their imposing, labyrinthine cathedral on the fourfold pillars of prog-death complexity, dissonant black metal density, transcendent psychedelia, and emotive touches of viola, only to plant their hearts in the middle of this elaborate edifice to serve as an altar for the masses to be inevitably held to the sounds of Heart Of Lead. One need only listen to the two singles already released off the record (“The Descent” and “Neurodelirium”) to see these elements at play, and to understand the potent pull they can achieve on the listener. Risen from the nourishing embers of the now-defunct Draugsól, Kaleikr have crafted an immensely forceful and inticate début in Heart Of Lead, one that is poised to intrigue discerning connoisseurs of progressive and experimental metal music over repeated listens. The album, which is due out on February 15 via Debemur Morti Productions, was recorded, mixed, and mastered by Stephen Lockhart at Studio Emissary located in Reykjavík, Iceland, and comes with a cover artwork created by French visual arts studio Metastazis. 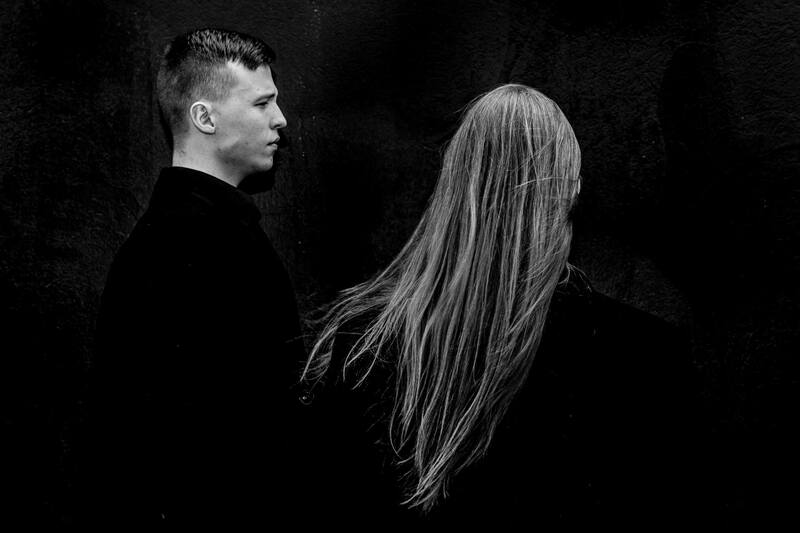 Heart Of Lead, and by extension its creators Maximilian Klimko and Kjartan Harðarson, are an impressive addition to the already burgeoning Icelandic black metal scene. If you liked what you heard above, be sure to follow them on their Facebook page, and to procure your personal copy of the album once it’s out, for example via Bandcamp or their label’s European and North American shops. Next PostRotting Christ - "The Heretics"